If you’re looking for quality, affordable Dallas GA homes, look no further than the Vista Lake community. This outstanding new community offers more than just beautiful homes; it also features a wealth of amenities to satisfy just about any home buyer. Best of all, while you can choose to build on one of the lots, if you’re looking to move now, they have a number of brand new move-in-ready homes available. Vista Lake community offers a variety of homesite sizes for every preference. In addition, this welcoming community makes it easy to have fun and get to know your neighbors, thanks to the inclusion of an Olympic-size pool, playgrounds, tennis courts, and walking trails. And with a name like Vista Lake, it should come as no surprise that there is a lake in the community, perfect for great views, as well as fishing! Located just off Highway 278, residents don’t have to go far to find anything they need. Shopping, dining, entertainment and more, it’s all within easy reach. Museums, historic sites, beautiful parks, a fine arts center, a farmer’s market, and wildlife management areas are just some of the extra perks you’ll find nearby, as well as a delicious array of restaurants, and entertainment for all ages. Within Vista Lake community, you’ll find at least ten floor plans available, and if you want a move-in-ready home, there are currently at least five on the market, though you’ll probably want to act fast to get one of these amazing homes. The available homes start around the $250s and feature things like welcoming front porches, two-car garages, more than 2,000 square feet, elegant stairways off the front foyer, dining rooms, huge kitchens with islands and pantries, spacious family rooms, large bedrooms, dedicated laundry rooms, and back patios. The homes at Vista Lake offer flexible room options so that as your family grows, your home can adapt, with multiple bedrooms or flex rooms that can serve as anything from games rooms to home offices. 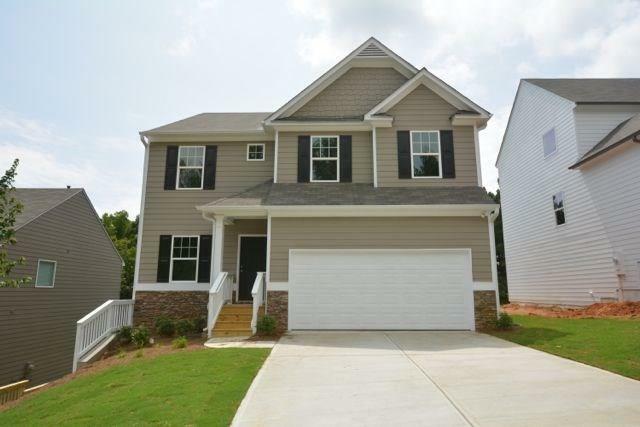 Anyone in the market for Dallas GA homes should look no further than Vista Lakes. With homes currently available, you can move in right away and start enjoying every feature this community has to offer, both in the stunning homes and the numerous amenities throughout the neighborhood. Contact Piedmont Residential today to learn more about this outstanding community.